Rated 3 out of 5 by arnold1049 from BETTER GAMES AVAILABLE Based on the one hour demo, this game has one fatal flaw that will keep me from buying it, even with a coupon. I do not like games that take you back to the same location over and over again, and this game was particularly rife with this back and forth movement. It also used the same location at least 3 times for a HOS. I don't mean the same scene, I mean the exact same location in the scene. Of course, there were different items to find each time, but, with all the possible places to set up a HOS, why go back to the same one over and over again? Another irritating factor was having to open the journal in order to get to the map. And with all the coming and going, the map is essential. Wasted time and effort to get to it. This is a mediocre game and with all the other great games out there, why waste my time on one like this? Rated 3 out of 5 by vanda150 from It was OK. Played the demo for one hour but still had 15 minutes left after completing chapter one. This I had to play with the sound down as the music? droned on and one playing the same few notes. It didn't change with each scene just repeated over and over again. Arrggg! Started Chapter two with different music, but don't know if this also repeated in a very annoying fashion. Rated 3 out of 5 by Granny_Gruff from Quirky, Yes! The story-line of this sea-going adventure is really quirky, but it has some potential. Elizabeth is the captain of a mechanical ship designed by Ethan. Ethan's son, Adam, is on an island where everyone else has been killed by a black fog. You have set out with Ethan on board to sail to Adam's island. Just before you get there, your ship is attacked out of a thick black fog by a pirate ship. All of the crew is killed except Elizabeth. She sees the black fog enter Ethan's cabin and tries to enter. Getting there involves a trip to the pirate ship and finding two small "alive " dolls. And that's where the quirky comes in. The sea-going adventure just became a mythical fantasy adventure. Good stuff: Average HOPs, good mini-games, decent artwork, and a seriously quirky story. Bad stuff: It all depends on how you feel about quirky. The little dolls are cute and they have mythical powers - one you find on the ship holds the spirit of freezing and the other is in charge of knowledge. You will eventually find others with special powers to aid you in defeating the evil black fog. I like quirky especially in an SE game. I also like a simpler game to while away time till the next great thing. With a free coupon, I want to own this little cutie. Try for yourself and see if the balance of cute and quirky is for you! 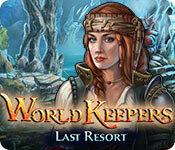 Rated 3 out of 5 by pennmom36 from TURNS OUT THE WORLD KEEPERS ARE DOLLS! Elizabeth Robinson is the Captain of the Sea Star, a young buccaneer born and raised on the ship, it's all she's ever known. The Sea Star was designed and engineered by Ethan Brown, a close friend of Elizabeth's father, who has asked for her help finding his son Adam. Adam managed to escape a calamity, when a strange fog rolled onto the island and killed everyone, instantly. The Sea Star was nearly to the port when the fog engulfed her, killing her entire crew, with the exception of Elizabeth of course. Up to this point, I said to myself, "self" this ain't a bad pirate story. Then the plot took on a strange twist, when the World Keepers came into play, which sounds awesome in theory, but they are nothing more than burlap ragdolls, one of which seems very angry, the other has been dressed in a pirate outfit by Adam who thought he'd look more like a doll if he were dressed like one. Supposedly, they are Spirits that are trapped in a rag shell, the first doll is the Ice Spirit that can freeze those whom evil has possessed, the next doll is the Knowledge Keeper who's really just a glorified Hint Icon. There are other spirit dolls to rescue after the demo that use fire, lightning and time to help you fight the evil smoke, but the demo itself only offers 2 dolls. I really wouldn't mind the makeshift dolls if this were a fantasy type game, but it's so out of place and unnecessary in a swashbuckling pirate genre, it made the game kinda cheesy. 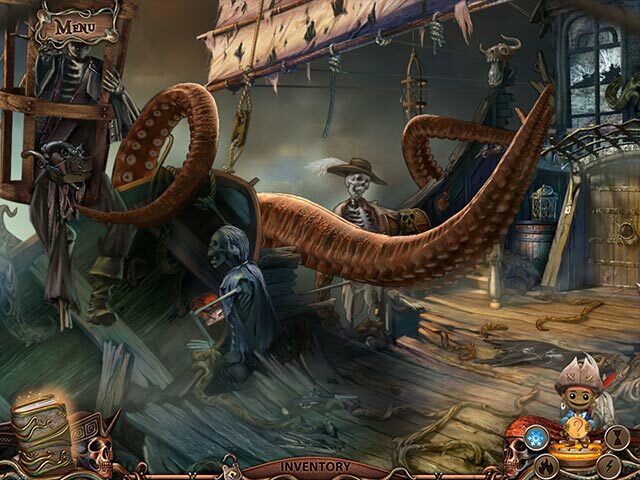 The Hidden Object Scenes are all the same, Interactive List Finds, and most of the scenes have at least one repeated HOP which I really hate because even though the items to find are different, you know where everything is because you just scoured the scene a few moments prior. The Mini Games however are fairly decent, they aren't difficult, but they are different, and most have a pirate or nautical theme. Below are brief descriptions of some of the Mini Games you'll encounter during the demo: 1) Choose three icons with the same theme as shown in the center by clicking the arrows, when you find the correct icon, click to choose (it will turn red at that point, I'm giving more detail on this game because I thought the directions were too vague) 2) Press buttons in the correct order by trial and error. 3) Connect the snake parts correctly to fill the bowl. 4) Turn roller sections to the correct sequence as you found earlier in a clue. The graphics in this game are hand drawn, not bad, but it lacks the crisp details of computer generated graphics, there are no voiceovers, so you'll have to read the dialog boxes (which btw have several typos!) The music was okay, but does get a bit repetitive. As I stated before, the storyline had promise, after all, everybody loves a good pirate story, but I felt a little let down when the ragdolls came into play. I probably would have purchased this bargain HOPA, or at least used a credit, but for now, I'll sit on the fence until I feel that I simply must find out what happened to Adam and the other ragdolls. Rated 2 out of 5 by charlene_lane from ELIZABETH ROBINSON - CAPTAIN OF THE SEA STAR REVIEW OF COMPLETED GAME Sorry fishies, in all honesty I didn't like it. It is a simplistic game without any voiceovers which I believe should be in a game nowadays. This is 2017, not 2007. There is: * Regular, Hard and Expert modes of play; * Diary; * Interactive map (which is inside the diary); and * Four cute little dolls to help you through the game. The graphics are just okay. They weren't too bad, but they weren't great either. There is plenty of colour but I feel that they needed sharpening up and find-tuned to make it easier to look at. There are no voiceovers and you have to read everything. However, the diary is informative and helpful, so I read that instead of the dialogue. The first piece of music is diabolical and sounded like a piece of machinery working, but the rest of the game it is orchestral and played quietly is the background. 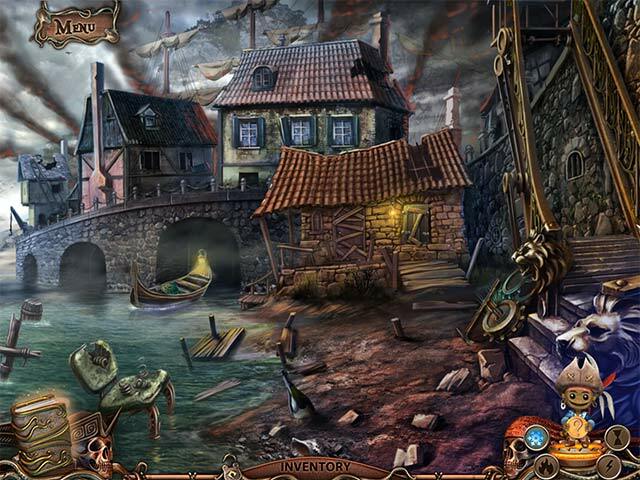 The hidden object games are slightly interactive straightforward which you will do twice. The items were clear to see and only take a couple of minutes to do each. The mini-games are all very easy. There were a couple I hadn't seen before, so that was good. Each mini-game only takes a few minutes to do. 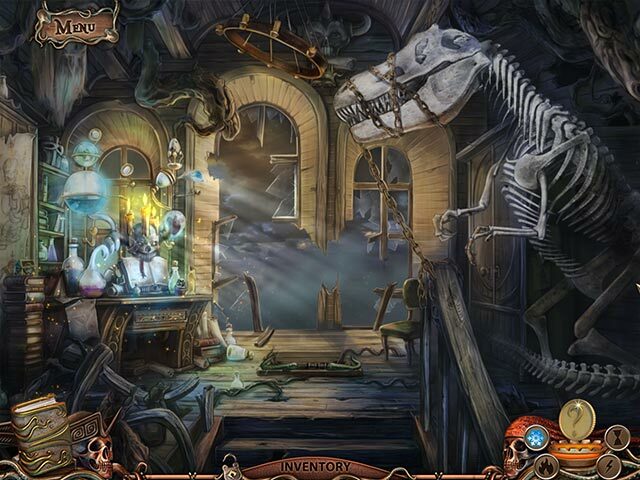 You will find 4 dolls (spirits inside the dolls) as you progress through the game. Each has a talent of their own which is fire, ice, lightening and stopping or slowing time. You will make use of these dolls as you go through the scenes. All up the game took me about 4 hours - there is six chapters, so its neither too short or too long. Overall, I didn't find much to like about the game, however, you might have a different opinion. Definitely trial before you buy to see if its right for you. Rated 2 out of 5 by Celestien from Too little effort put in this game I started playing the demo and quit before the end of it. Here at Big Fish we have been, and still are spoiled with great, excitiing, complex games which I really enjoy.... so this one just was not good enough. The graphics are okay, but the pointer is not very interactive (it doesn´t react as precisely as I am used to in other games), the story comes in without any elegance or intelligence and then just races off, the logic of where to go next is so-so, the music is tedious. So no, I am not satisfied and I have deleted the game already. Rated 2 out of 5 by ingram02 from I was falling asleep while playing This game might be okay for a beginner, but I found it slow and tedious. I actually caught myself falling asleep right after locating the second doll. I logged out and deleted the game. The first big shock of annoyance was that the were no voice overs! WHAT? In the this day and age, that seemed very lazy and backward. No separate map added to the annoyance. I found it by looking in the journal. I thought the storyline was disjointed, and much was left to your own interpretation. Coloration and backgrounds were beautiful, but the animation could have been better. In general, I had hoped to like this game, but was sorely disappointed. Rated 1 out of 5 by Limey2 from BOOOOOOOOOOORING The same 7 notes played over and over and over and over and - well - you get my meaning. And yes - I counted the notes. The people who said they liked the game either get paid to say that or they are deaf. And I played the demo twice, just in case I missed something the first time round - no I didn't. And I only used up half the demo time. That's all I could stand. Rated 1 out of 5 by denniann2 from i do't use the worde hate, but i strongly disliked this game i seldom review a game based on a demo, but i am going to with this one. i didn't like it at all. the music was monotonous. others seemed to like it more than not like it but i am not in that majority at all. try it and you may like it. i really didn't and just the fact i wrote a review before i finished the demo says all it has to about my feelings on the game. Rated 1 out of 5 by mmdgaston from BAD this is an awful game,easy to the point of sheer boredom. zero challenge. no storyline......no fun. Rated 1 out of 5 by chinaslim from Total Rework Required Forced myself to play 20 minutes of pure torture. This game is extremely poor, from the graphics to the fact that there was no sound. The story line is quite poor and the hidden action scenes too bad to describe. I would not consider purchasing this game at any price. Rated 1 out of 5 by dmcglamery4 from Total Loser It's hard to believe that BFG offered this game as a featured selection. Graphics are lame and amateurish. The soundtrack is boring and repetitive. The fun factor requires negative numbers to rate accurately. There isn't much of a storyline and the challenge is non-existent unless this is your first game-playing experience. Sorry to say it folks but save your time and money and stay away from this one.